First of all, I wish to congratulate all the youth organizations of the national democratic movement, spearheaded by Anakbayan, for standing up against the US-directed Duterte regime and for arousing, organizing and mobilizing the youth for resolute and militant struggle to oust this regime of terror and greed and prevent it from reimposing a fascist dictatorship on the Filipino people. You are playing a signal role in calling on the broad masses of the youth as well as the broad masses of the people to unite and fight not only the current brutal nd corrupt regime but the entire oppressive and exploitative semicolonial and semifeudal ruling system under U.S. imperialism and the oligarchy of big compradors, landlords and bureaucrat capitalists now represented chiefly by the puppet Duterte. I am elated and highly honored that in the course of the current struggle for national liberation and democracy against the US-Duterte regime and the ruling system you have decided to launch the Jose Ma. Sison People´s Academy as an educational institution and movement to propagate my works on the national democratic revolution and to enlighten and inspire the youth and the people to continue this still unfinished revolution at a higher level allowed by the era of modern imperialism and proletarian revolution and by the perspective of socialist revolution. You are truly the brilliant continuers of Kabataang Makabayan by asking me to discuss the significance of the ideological, political and cultural education of the mass movement. In mass work, the first requisite and task is to arouse the youth. Arousal assumes the ideological education of cadres and their ability to do propaganda and agitation. You must recall the teaching of Lenin that without theory there can be no revolutionary movement. Theory gives us the breadth and depth for understanding the stages and laws of motion in social history. You must also recall that I have learned from Recto the need for a Second Propaganda Movement and I have advocated it, developing it further as the new democratic cultural revolution. Your initiative in launching the Jose Ma. Sison People´s Academy is impelled by the thought and desire to have revolutionary theoretical and political education as the anchor and consolidator of the mass movement. It is reminiscent of the establishment and multiplication of Schools for National Democracy during the First Quarter Storm of 1970. The main texts of study at the time was the book Struggle for National Democracy and Philippine Society and Revolution. Now, we have more texts for reading and study. More importantly the national democratic movement of the youth and the people has gained a tremendous amount of revolutionary experience from the founding of Kabataang Makabayan in 1954 or the First Quarter Storm of 1970. We have to pay full attention and give due consideration to the people´s democratic revolution which is under the leadership of the working class and has a socialist perspective and Is being carried out through a protracted people´s war which can now be accelerated on a nationwide scale if conservatism is overcome. I appreciate that my written works are valued as sources of knowledge based on theoretical study and tested in revolutionary practice. These works refer to those of the great thinkers and revolutionaries of the world proletarian revolution and to those of Filipino patriots since the old democratic revolution of 1896. I have always sought to integrate the relevant and applicable revolutionary theory with the history and current conditions of the Filipino people. In the same manner, I have also analyzed the ever developing international context of the Philippine revolution. The work of collecting and publishing my writings chronologically in book form is in an advanced stage. Selections of writings under thematic tltles of varying scales are also being prepared for publication in book form. All these writings can be preserved and disseminated in printed and digital form and made available to cadres and mass activists at the grass roots through chapters of youth organizations, online platforms, public libraries and private collections. In this regard, the Jose Ma. Sison People´s Academy can cooperate with the following; www.josemariasison.org, the Stichting International Network for Philippine Studies and Aklat ng Bayan. You are today confronted and challenged by a world capitalist system whose crisis is worsening at an unprecedentedly accelerated rate. This crisis is bringing about extreme suffering among the people of the world in terms of oppression and exploitation. It is sharpening inter-imperialist contradictions and resulting in more catastrophic imperialist plunder and wars of aggression. It is bringing about strong ultra-reactionary currents of chauvinism, racism and fascism in imperialist coountries even before the revolutionary forces of the proletariat and people can resurge fully from the disastrous and deleterious consequences of the revisionist betrayal of socialism and the rampage of neoliberal economic policy and neoconservative wars of aggression. At the same time in the Philippines, you are confronted and challenged by the domestic semicolonial and semifeudal ruling system whose crisis is worsening at an unprecedentedly accelerated rate. The crisis is inflicting extreme suffering on the Filiipino people in terms of ever escalating oppression and oppression as a result of foreign monopoly capitalism, domestic feudalism and bureaucratic capitalism. The situation has become so bad and terrible that it has brought forth the Duterte ruling clique that has launched an all-out war policy against the revolutionary forces, the legal democratic forces and the broad masses of the people. Under Oplan Kapayapan, together with Oplan Tokhang, the Duterte clique is carrying out campaigns of mass murder and mass deception within the interventionist context of Operation: Pacific Eagle-Philippines of US imperialism. The Duterte ruling clique is now on the path of establishing a fascist dictatorship under the pretext of changing the 1987 Constitution and adopting a pseudo-federal system of government under a presidential dictator with unlimited centralized powers. lording over pseudo-federal states or regional governments run by big compradors and landlords, corrupt dynasties and warlords. The fascist dictatorship is bound to fail because the broad masses of the people hate the use of mass intimidation and violence to ram it through and because it cannot be sustained by increased taxation on consumer good and services and soaring prices of these and by the use of foreign loans at high interest rates to conjure the illusion of progress through overpriced infrastructure projects. The establishment of the People´s Academy is timely. The crises that confront and challenge you cause severe difficulties, hardships and sacrifices. But the struggle will bring to the revolutionary cause large masses of the people. To be effective, the cadres and activists of the youth movement must have the theoretical or ideological education to comprehend the workings and crisis of the world capitalist system and the domestic ruling system. You need the scientific wisdom of Marx, Engels, Lenin, Stalin and Mao and the revolutionary leaders of today to inspire and guide your struggle. You need the political education to understand the semicolonial and semifeudal character of Philippine society and the national and democratic character of the Philippine revolution under the leadership of the working class, the motive forces of the revolution, the class adversaries of the revolution, the stages of the revolution, the strategic line of protracted people´s war and the socialist perspective. In the new democratic revolution that needs to be carried out, you must adhere to and contribute to the realization of a cultural education that is patriotic, scientific and pro-people. For the purpose, you must have definite courses of education and promote artistic creation and cultural performances. Una sa lahat, nais kong batiin ang lahat ng organisasyong pangkabataan ng pambansa demokratikong kilusan sa pangunguna ng Anakbayan sa pagtindig laban sa dinidirihe ng US na rehimeng Duterte at sa pagpupukaw, pag-oorganisa at pagpapakilos sa kabataan para sa masugid at militanteng pakikibaka upang patalsikin ang rehimen ng lagim at kasakiman at biguin itong muling ipataw ang isang pasistang diktadura sa sambayanang Pilipino. Kayo ay gumaganap ng tagapaghudyat na papel sa pananawagan sa malawak na masa ng kabataan at gayundin sa malawak na masa ng sambayanan upang magkaisa at labanan hindi lamang ang kasalukuyang brutal at korap na rehimen kundi ang buong mapang-api at mapagsamantalang malakolonyal at malapyudal na naghaharing sistema sa ilalim ng imperyalismong US at oligarkiya ng mga malaking komprador, panginoong maylupa at burukrata kapitalistang ngayon ay kinakatawan pangunahin ng papet na si Duterte. Aking ikinagagalak at labis na ikinararangal na sa landas ng kasalukuyang pakikibaka para sa pambansang paglaya at demokrasya laban sa rehimeng US-Duterte at ng naghaharing sistema pinagpasyahan ninyo na ilunsad ang Jose Ma. Sison Akademya ng Bayan bilang isang institusyon at kilusang pang-edukasyon upang ipalaganap ang aking mga akda tungkol sa pambansa demokratikong rebolusyon at upang mapatnubayan at mainspira ang kabataan at ang sambayanan upang ipagpatuloy ang di-natapos na rebolusyon sa mas mataas na antas na ipinahihintulot ng panahon ng imperyalismo at rebolusyong proletaryo at ng perspektiba ng sosyalistang rebolusyon. Kayo nga ang tunay na mga maniningning na tagapagpatuloy ng Kabataang Makabayan sa inyong kahilingan sa akin na talakayin ang kahalagahan ng edukasyong pang-ideolohiya, pampulitika at pangkultura ng kilusang masa. Sa gawaing masa, ang unang rekisito at tungkulin ay pukawin ang kabataan. Ang pagpukaw ay nangangahulugan ng edukasyong pang-ideolohiya ng mga kadre at aktibista at pagpapatalas ng kanilang kakayahan sa propaganda at ahitasyon. Alalahanin ang turo ni Lenin na kapag walang teorya hindi maaaring magkaroon ng rebolusyonaryong kilusan. Ang teorya ang nagbibigay sa atin ng lawak, lalim at talas sa pag-uunawa ng mga yugto at batas ng pagkilos sa kasaysayang panlipunan. Maaalala rin ninyo na natuto ako kay Recto tungkol sa pangangailangan ng Ikalawang Kilusang Propaganda at akin itong itinaguyod at lalong pinaunlad bilang bagong demokratikong rebolusyong pangkultura. Ang inyong inisyatiba sa paglulunsad ng Akademya ng Bayan ay ibinubunsod ng kaisipan at pagnanais na magkaroon ng rebolusyonaryong edukasyong teoretikal at pulitkal bilang angkla at pangkonsolida sa kilusang masa. Ito ay kahalintulad ng pagtatayo at paglitawan ng Schools for National Democracy noong Sigwa ang Unang Kwarto ng 1970. Ang mga pangunahing teksto sa pag-aaral noon ay ang librong Struggle for National Democracy at Philippine Society and Revolution. Ngayon, mas marami nang teksto para sa pagbabasa at pag-aaral. Mas mahalaga pa, ang pambansa demokratikong kilusan ng kabataan at sambayanan ay nakapag-ipon na ng malaking kaban ng rebolusyonaryong karanasan mula sa pagtatatag ng Kabataangg Makabayan noong 1964 o mula noong Sigwa ng Unang Kwarto ng 1970. Kailangan nating bigyan ng buong pansin at kaukulang pagsasaalang-alang ang demokratikong rebolusyong bayan na pinamumunuan ng uring manggagawa at may perspektibang sosyalista at ipinatutupad sa pamamagitan ng matagalang digmang bayan na maaari nang pabilisin sa pambansang saklaw kung pangibabawan ang konserbatismo. Aking ikinatutuwa na ang aking mga akda ay pinapahalagahan bilang pinagmumulan ng kaalaman na nakabatay sa teoretikal na pag-aaral at nasubok sa rebolusyonaryong praktika. Ang mga sulating ito ay humahalaw mula sa mga dakilang pantas at rebolusyonaryo ng pandaigdigang rebolusyong proletaryo at sa mga Pilipinong makabayan mula ng lumang demokratikong rebolusyon ng 1896. Sinikap kong lagi na integrahin ang mga kaugnay at angkop na teoryang rebolusyonaryo sa kasaysayan at kasalukuyang kalagayan ng sambayanang Pilipino. Gayundin, aking sinusuri ang palagiang nagbabagong kontekstong pandaigdigan ng rebolusyong Pilipino. Ang gawain sa pagtitipon at paglilimbag sa anyong libro ng aking mga sulatin ayon sa kronolohiya ay nasa abanteng yugto na. Ang mga seleksyon ng mga sulatin ayon sa tematikong titulo ay nasa ibat ibang yugto ng preparasyon para ilimbag sa anyong libro. Lahat ng mga sulating ito ay maaaring panatilihin at ipalaganap sa nakalimbang o dihital na porma sa mga kadre at aktibistang masa sa batayang antas sa pamamagitan ng mga tsapter ng mga organisasyong pangkabataan, online platform, aklatang publiko at pribadong koleksyon. Sa ganitong bagay, ang Jose Ma. 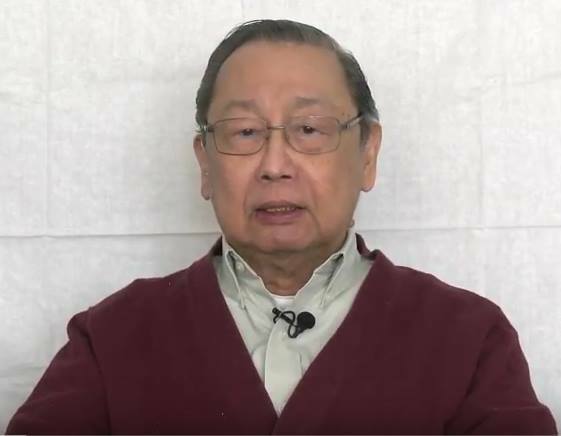 Sison Akademya ng Bayan ay maaaring makipag-ugnayan sa sumusunod: www.josemariasison.org, Stichting International Network for Philippine Studies at Aklat ng Bayan. Kayo ngayon ay kinakaharap at hinahamon ng pandaidigang sistemang kapitalista na ang krisis ay lumalala sa bilis na walang katulad. Ang krisis na ito ay nagdudulot ng labis na pahirap sa mamamayan ng daigdig sa aspeto ng pang-aapi at pagsasamantala. Pinaiigting nito ang kontradiksyon sa pagitan ng mga imperyalista at nagbibigay-daan sa mas masahol na pandarambong at gerang agresyon. Nagbubunga ito ng mga malakas na ultra-reaksyonaryong linya ng sobinismo, rasismo at pasismo sa mga imperyalistang bayan bago pa man makabangon nang husto ang mga rebolusyonaryong pwersa ng proletaryado at mamamayan mula sa mapaminsala at nakasasamang epekto ng rebisyunistang pagtataksil sa sosyalismo at panraragasa ng neoliberal na patakarang pang-ekonomya at neokonserbatibong gerang agresyon. Kasabay nito, sa Pilipinas ay kinakaharap at hinahamon kayo ng lokal na naghaharing sistemang malakolonyal at malapyudal na ang krisis ay lumalala sa bilis na walang katulad. Lubhang pinahihirapan ng krisis ang sambayanang Pilipino sa pamamagitan ng patuloy na tumitinding pang-aapi at pang-aaping bunga ng dayuhang monopolyo kapitalismo, lokal na pyudalismo at burukrata kapitalismo. Napakalala at terrible na nang inabot ng sitwasyon kayat nailuwal nito ang naghaharing pangkating Duterte na naglunsad ng todo gerang patakaran laban sa mga rebolusyonaryong pwersa, sa mga ligal na demokratikong pwersa at sa malawak na masa ng sambayanan. Sa ilalim ng Oplan Kapayapaan, kasabay ng Oplan Tokhang ang pangkating Duterte ay naglulunsad ng kampanya ng malawakang pamamaslang at panlilinlang sa mapanghimasok na kontexto ng Operation: Pacific Eagle-Philippines ng imperyalismong US. Ang pangkating Duterte ay nasa landas ngayon ng pagtatatag ng isang pasistang diktadura na nagbabalatkayo sa likod ng pagpapalit ng 1987 Konstitusyon at pagtataguyod ng isang pekeng-pederal na sistema ng gubyerno sa ilalim ng isang diktador na presidente na walang limitasyon ang sentralisadong kapangyarihan at nagdodomina sa mga pekeng-pederal na estado o rehiyunal na gubyernong pinatatakbo ng mga malalaking kumprador at panginoong maylupa, korap na mga dinastiya at mga warlord. Ang pasistang diktadura ay tiyak na mabibigo dahil kinamumuhian ng malawak na masa ng sambayanan ang paggamit ng malawakang pananakot at karahasan para pwersahan itong ilusot at hindi ito masusustini ng dagdag na buwis sa mga kalakal at serbisyong pangkonsumo at ng paggamit ng dayuhang pangungutang sa mataas na interes para likhain ang ilusyon ng pag-unlad sa pamamagitan ng mga proyektong pang-imprastraktura na sobrang pinataas ang presyo. Ang pagtatatag ng Akademya ng Bayan ay napapanahon. Ang mga krisis na kumakaharap at humahamon sa inyo ay nagdudulot ng matinding paghihirap at sakripisyo. Ngunit dadalhin ng pakikibaka ang malaking bilang ng masa sa rebolusyonaryong layunin. Para maging epektibo, kailangang may teoretikal at ideolohikal na edukasyon ang mga kadre at aktibista ng kilusang kabataan para maintindihan ang takbo at krisis ng pandaigdigang sistemang kapitalista at ang lokal na naghaharing sistema. Kailangan ninyo ang siyentipikong dunong ni Marx, Engels, Lenin, Stalin at Mao at ng mga rebolusyonaryong lider ng kasalukuyang panahon para pasiglain at gabayan ang inyong pakikibaka. Kailangan ninyo ang pampulitikang edukasyon para maintindihan ang malakolonyal at malapyudal na katangian ng lipunang Pilipino at ang pambansa at demokratikong katangian ng rebolusyong Pilipino sa ilalim ng pamumuno ng uring manggagawa, ang mga motibong pwersa ng rebolusyon, ang mga kaaway sa uri ng rebolusyon, ang mga yugto ng rebolusyon, ang estratehikong linya ng matagalang digmang bayan at ang sosyalistang perspektiba. Sa bagong demokratikong rebolusyon na dapat isagawa, kailangan ninyong panghawakan at mag-ambag sa pagkamit ng edukasyong pangkultura na makabayan, siyentipiko at maka-anakpawis.